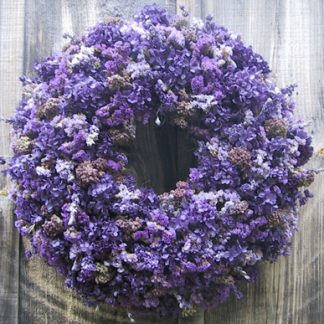 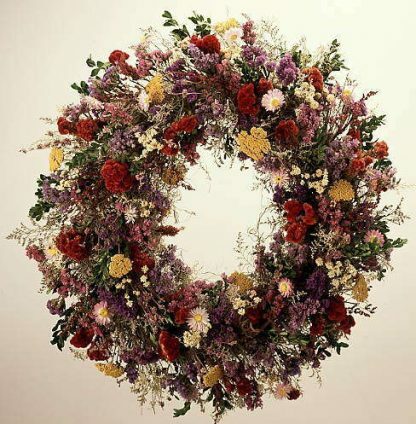 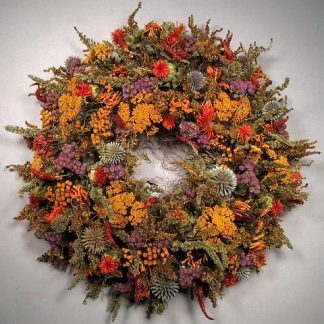 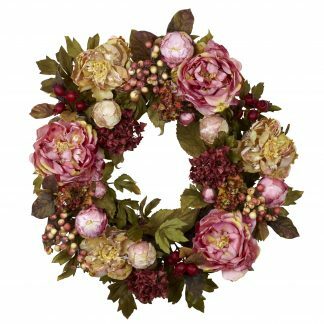 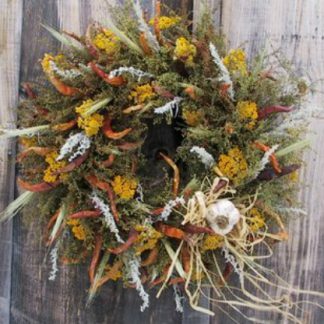 Bring summer into your home with this lovely wreath reflecting the bounty of a country garden. 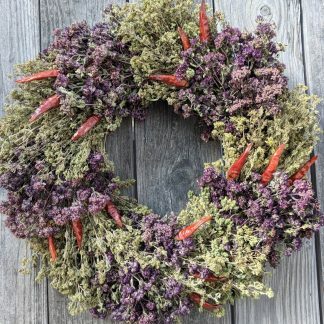 This colorful piece is highlighted by crested celosia, yarrow, caspia, annual statice, acrolinium, boxwood and achillea pearl. Size: Outside diameter 20 inches.